Fur and feather magazine has been publishing for many years and is the voice of the fancy, as they say. It is also the official journal of the British Rabbit Council (BRC) and is published and printed by Printing for Pleasure Ltd. 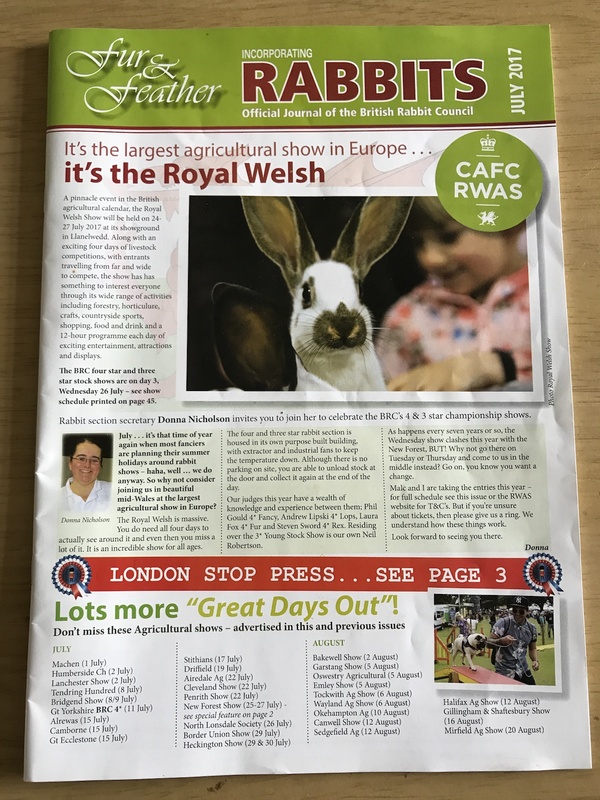 Here you can read show reports, forthcoming shows, many interesting articles regarding clubs, rabbit health, welfare , competitions etc. It also reports on British Rabbit Council meetings and other important issues pertaining to rabbits. You can also have your say by writing letters. When it was first published it included, cats, rabbits, pigeons, rats, mice, chinchillas, poultry and guinea pigs. Since that time it has evolved and the other animals have their own publications. 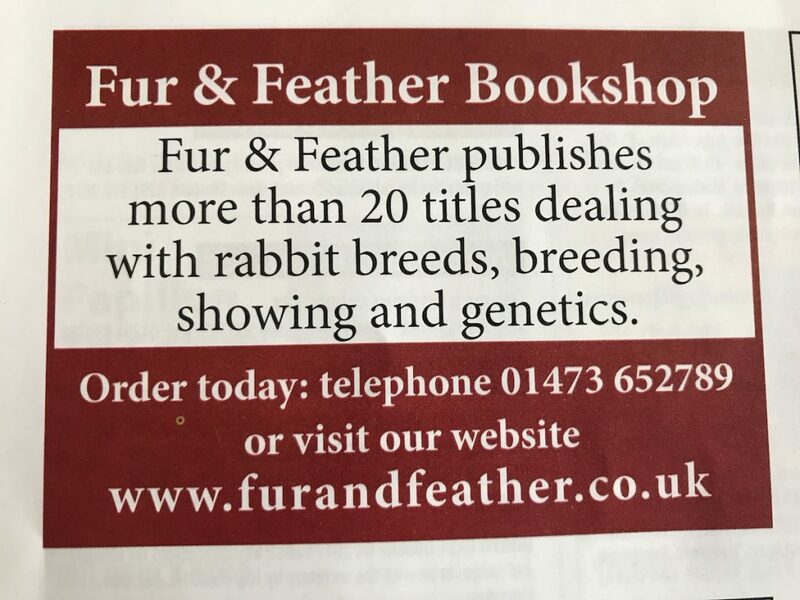 It is really essential to serious rabbit breeders, whether you access through the internet or buy a hard copy. If you intend to start showing it is a must. 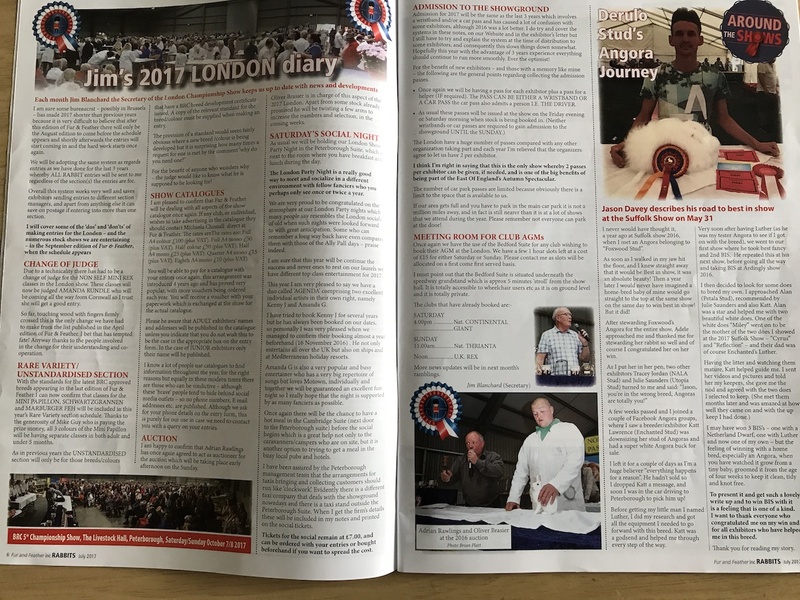 Pictures of winning rabbits, club news, changes of venues, judges, cancellations are all included. Posted 16/10/2017 by SM & filed under General interest.